Whenever a person comes across a blogger, he always wonders that Blogging is all about Name, Fame and Wealth. Perhaps this equation might look factual, but in many circumstances it is not true at all. Does anyone ever thought that How he started Blogging and got success? Does anyone know what goes behind the scenes of a Blog? Does anyone have any idea how many sacrifices he had made to reach this level? We should ask these questions to our self before labeling blogging as a dollar printing machine. He must have done some sorts of hard work to achieve what he has today. Therefore, today in this article, we will discuss Why Blogging is not About Name, Fame and Wealth. Those who deliberate Blogging as a one day game could never become a Professional webmaster, because Blogging is all about patience, and controlling our personal emotions i.e. Jealousy and etc. Instead of getting shocked from one’s success try to take inspiration. Before, we get started let us recall the meaning of Name, Fame and wealth. Name: Set of words which refer to a person. 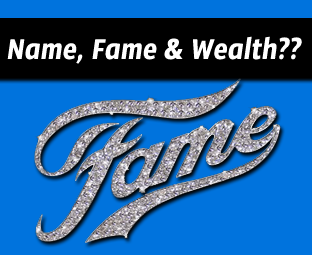 Fame: The conditions of being know or publically estimated celebrity. Wealth: A state of being rich or stable financially. Without planting a seed properly how a farmer can expect it to become a Giant Tree one day? We have to water it on the daily basis, protecting it from the sunlight and making sure that no wild insect damages the fruits. Finally, one day farmer harvest the fruits and thus, enjoy the true bounties of his hard work. 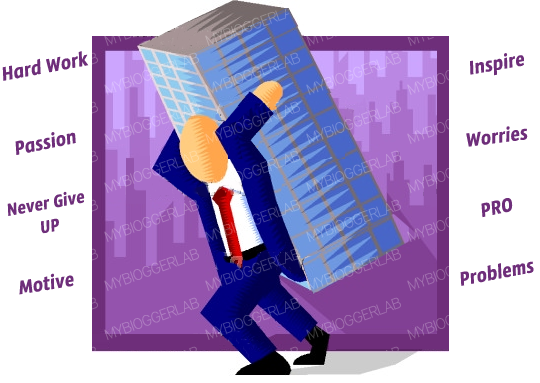 In the same way, the job of a Blogger is also not straightforward than it looks. It requires lots of hard work. We need to publish articles on the daily basis, taking care of the readers, protecting our content from content copiers and other countless difficulties. 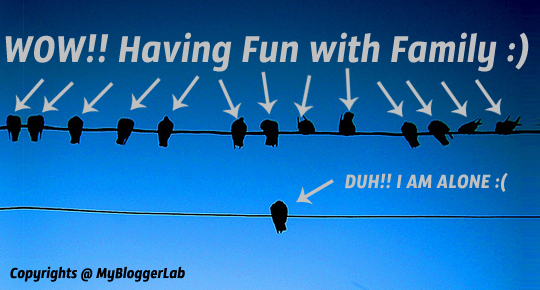 Do you think, we bloggers always spend the whole day with our Families? If yes, then you might have to rethink over it. A Webmaster who writes activities on his website spends almost more than 12 hours on the internet. Sitting and gazing at the screen 24 hours a day to keep an eye on his websites. Due to which, the blogger usually excuses from attending the personal occasions and tries to give more time to his site than his family. Being a one Blogger in the whole family he has to spend all day long in a smallish room from where he controls his website. This is the reason, why he devotes almost his half blogging life in isolation until or unless he has the enough income to hire few authors. Webmasters can’t even breathe freely. By living in isolation webmasters do hate lots of public near them because they are so common with isolation. However, sometime the isolation itself burns their heart because they do not have anyone to support them in sorrows and grief. So, do you still think Blogging is all about Name, Fame and wealth? I guess these solid reasons have surely made you rethink about the statement. I remember a quote that perfectly fits in here, “Thorns and roses Grows on the same Three”. After reading this article, we are hoping to see a new kind of Blogger in every single reader that we have on our site. Keep in mind never run behind name or fame instead work on your site with more power. What are your thoughts about the article? Take a lot care till then, Peace, Blessings and Happy Blogging. Well said. It's dead true that success stands on the invisible feet of hard-work. Most people see only the torso and ignores the feet which makes it stand properly. I think your blog can be an inspiration for all beginners. I 've been following it for almost 5-6 months and I never saw a day when it is not update with fresh content and may be that is why your Alexa is so high compared to other new blog. You do the excellent work. Keep it up and keep incresing our knowledge about blogging. what u say is eternal truth. On uttarayan ..i sat the whole day blogging ...and didn''t even fly a kite..
No one offers you success in a plate. Reading the above post I thought as if you wrote about me; but surely you stand ahead of me. We all struggling bloggers should at least meet once in a month together especially those who live in a same city and share their hardships and desperations with each other apart from sharing joys. I observed in Pakistan there is no platform for regular get-to-gethers for blogger. Ultimately we have to make non-online forum of bloggers to meet and treat. hey syed check your inbox my guest post is already sent to you. I think blogging is not about fame and money , it is all about your skills how you attract your readers. I am very impressived from this article because this kind of article gives inspiration to every blogger who is newbie or giant or failure.......love it.....syed faizan ali is one kind of blogger who think for every blogger...love for mbl and for templateism.com too.